Heat oil in kadai, add cumin seeds, hing and mix well. Add chopped onion, carrot, turmeric powder, red chilly powder, salt, coriander powder, amchur powder and mix well. 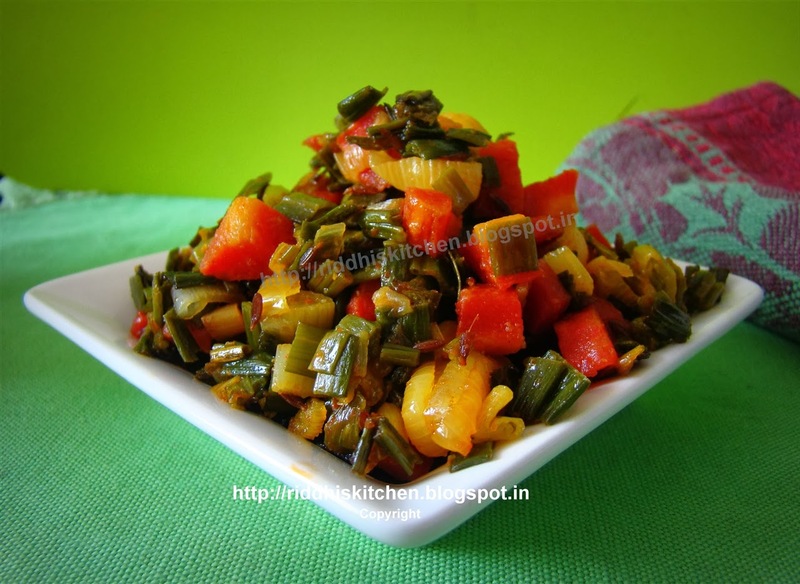 Cover kadai with lid and cook for 8 to 10 minutes or carrots become soft.